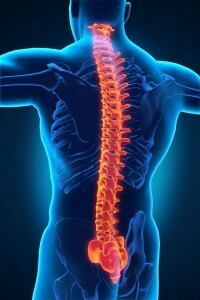 Spinal cord injuries are among the most devastating injuries our firm sees in our car accident clients. Talk to a Lawyer for Free 24/7 at (314) 361-4242! These types of injuries have a wide range of symptoms from minor pain that goes away with treatment to total paralysis from a broken back. Even with minor spinal cord injuries, the pain that is associated with it can reappear months or years after the accident. If you were the victim of a St. Louis car accident and are now attempting to readjust to life with a spinal cord injury, contact a St. Louis car accident lawyer at our law firm as soon as possible! High-speed car crashes are one of the leading causes of spinal injuries thanks to the very high level of force that is created. If your injury was caused by the reckless disregard of another driver, do not hesitate to file a claim for damages. Between 12,000 and 20,000 new patients are treated for SCI each year. Of these, 46% are estimated to have been caused by a car accident. The force created in a catastrophic crash goes directly to the head, neck, and back which often causes the spine to fracture. When your spine absorbs the impact of a car crash, the discs will often displace or fracture. When blood cells rupture, nearby organs become damaged. The spinal cavity swells in defense, cutting off blood and vital oxygen to the area. The affected nerves and neurons are severed, causing a break in the connection between your brain and all of the body parts below the point of injury. If the swelling is not reduced in time, this condition will leave you paralyzed from the point of injury downwards. In the U.S., it is estimated that about 12,000 cases of spinal cord injuries are reported every year – which amounts to around 30 injuries a day. These injuries can be caused by slips and falls, birth-related injuries, sports-related accidents, and motor vehicle accidents. According to the National Spinal Cord Injury Statistical Center (NSCISC), about one-third of all spinal cord injuries are caused by car accidents, making auto accidents the leading cause of spinal cord injuries. Paraplegia – Paraplegia refers to complete loss of motor and sensory function in the lower extremities of the body. Quadriplegia – Quadriplegia refers to complete loss of motor and sensory function in the torso and the four limbs. Recovery from complete spinal cord injuries is rare and often results in permanent disability. Extensive rehabilitation, reconstructive surgery, and physical therapy can help an injured person regain a certain level of independence with the assistance of a wheelchair. Anterior cord syndrome – spinal cord injuries to the front of the spine causing loss of temperature sensation, inability to feel pain, and loss of sensory functions of areas below the spot of injury. Posterior cord syndrome – spinal cord injuries to the back of the spine causing loss of temperature sensation and coordination and the inability to feel pain. Central cord syndrome – injuries to the center of the spine causing loss of functionality in the arms. Brown–Sequard syndrome (BSS) – injury caused on either side of the spine causing loss of motor function and retention of sensory function of one side and retention of motor function and loss of sensory function on the other side of the body. Cauda equina lesion – partial or complete impairment of sensation caused due to injury to the nerve end grouping in between the first and second lumbar region. Whether your spinal cord injury results in complete paralysis or some limited movement, our firm can help you recover your damages. In spinal cord injury cases, the cost of future medical care and occupational therapy will be a big portion of the settlement. This is due to the constant medical care or therapy you may need to try and resume a life similar to the one you had before the accident. If your spinal cord injury was the result of another driver’s negligent behavior, contact our experienced legal team. Not only will our skilled car accident lawyers help you recover your past medical expenses, but we can also work to get you compensation for ongoing medical expenses as well.